"Charlie was instrumental in the installation of a PC based software solution in our client's Mac environment. He is able to quickly assimilate the information provided and create solutions that are both viable and cost effective. His knowledge of the Mac environment is extensive, and importantly, his general knowledge of PC requirements and the requirements for integration between the two is equally impressive. Charlie is easy to talk to and understand for those that are not so computer literate, is punctual and works hard to meet his customers requirements." "Charlie is a walking encyclopaedia of all things Macintosh. He has an incredible technical knowledge and a deep understanding of the Mac platform and how to integrate it in SOHO and enterprise environments. He is able to put together working, reliable and cost effective solutions of any size, from one or two networked laptops up to an entire studio of workstations with server and storage infrastructure." "I have been impressed with Charles' creativity, and general expertise around my computer set-up, which I may say he set up for me originally and has upgraded over the years to improve and enhance my system." 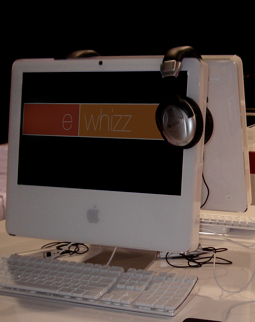 If you have something to tell us about eWhizz™, good or bad, we are always here with open ears. Call us, email us. 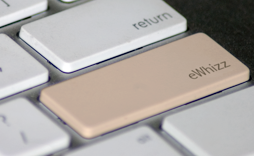 “Steve Jobs gave a great deal to the world with his vision and perfectionism, but without people like Charlie at eWhizz, many of us would never have experienced the gift. He knows how to connect the dream to the reality. "Charlie is one of the very few people I have met who REALLY knows Macs. He is knowledgable, reliable and really great to work with. I would highly recommend him every time."